WASHINGTON — Spanish launch startup PLD Space is redesigning one of the rockets it is developing so that it can launch twice as much mass to low Earth orbit. The changes follow a 10-month European Space Agency review that concluded launching up to 300 kilograms to a 500-kilometer orbit on a single rocket would be better than 150 kilograms as originally envisioned. ESA’s review was part of a 300,000-euro (roughly $350,000) investment in PLD Space’s efforts. 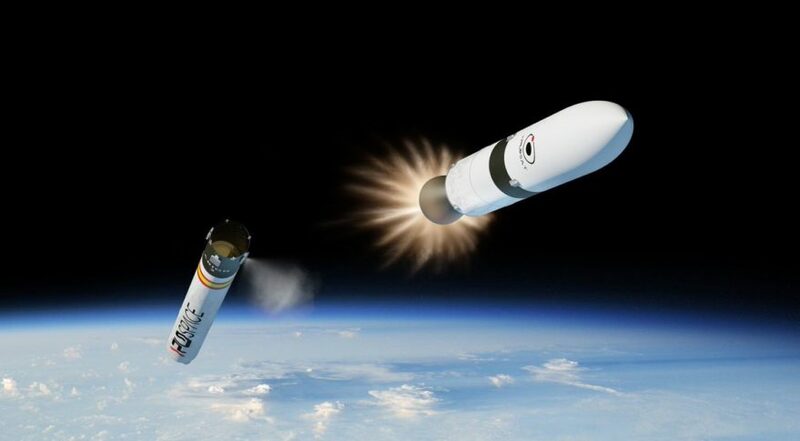 “After some analysis, we decided to increase the payload capacity, enabling us to offer more options for dedicated flight,” Raúl Torres, PLD Space CEO, said by email. The upgraded design allows the inclusion of a kick stage, he said, that can circularize the orbits of satellites. PLD Space also renamed the rocket Miura 5, dropping Arion 2 name that was at times confusingly similar to the Ariane rockets built by ArianeGroup. The new name also reflects the number of engines on the rocket’s first stage. PLD Space still plans to conduct a maiden launch of the Miura 5 in 2021, specifically in the third quarter. The suborbital Miura 1 (formerly Arion 1) remains unchanged and on track for a 2019 launch, the company said. The changes to the Miura 5 distance the launcher from Rocket Lab’s Electron, which is designed to launch 150 kilograms to a 500-kilometer orbit (though Electron can lift up to 225 kilograms maximum). Miura 5 is also closer now to Virgin Orbit’s LauncherOne, which is designed for missions between 300 and 500 kilograms. Marco Caceres, a Teal Group analyst covering launch activity, said the rocket redesign makes sense for a company that wants to win a slice of the burgeoning satellite constellation market. Megaconstellation company OneWeb, which hopes to orbit thousands of satellites for global internet services, says its first-generation satellites have a mass of 145 kilograms, meaning they would be able to fit in PLD Space’s original rocket. Other constellations are likely to be larger, however. Telesat’s demonstration satellite from Surrey Satellite Technology Limited, which launched on an Indian PSLV in January, has a mass of 168 kilograms. The company has yet to say how big the satellites will be in its envisioned 300-satellite constellation. Caceres said the number of constellations under development, many revealed through the U.S. Federal Communications Commission’s approval process, makes the case for substantial launch demand in the coming years that small-launch companies will want to pursue. Torres said PLD Space sees demand from commercial constellations today, but mainly for Earth observation and information management. The company doesn’t anticipate relying on government demand, he said, not that it would turn away such customers. Torres said PLD Space still plans a reusable first stage for Miura 5. Recovering the stage will involve a combination of several technologies, including parachutes, he said, but he declined to give specifics.